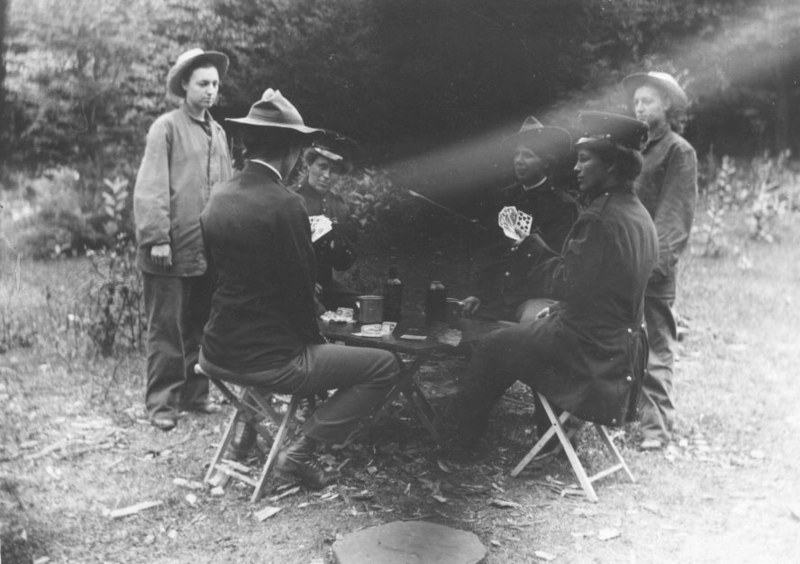 Woman in Uniforms Playing Cards, c. 1905. 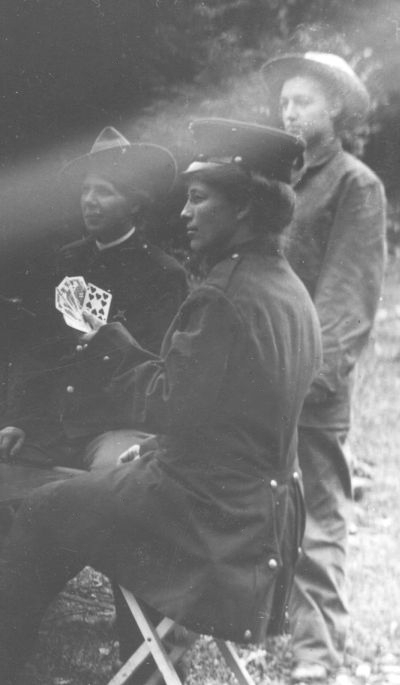 Women in Uniform Playing Cards, c. 1905 . 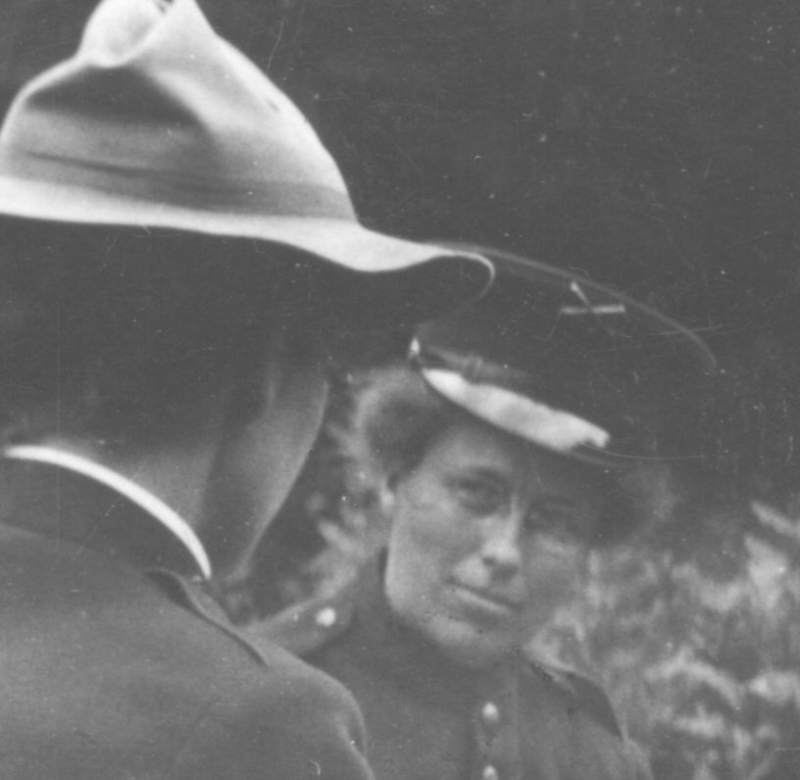 In a camp scene, four women in dark blue army uniforms play cards, with two other women in fatigues stand by. Maybe the game involves partners, and the two women in wide brim hats are teamed against the two in 1902-pattern caps. 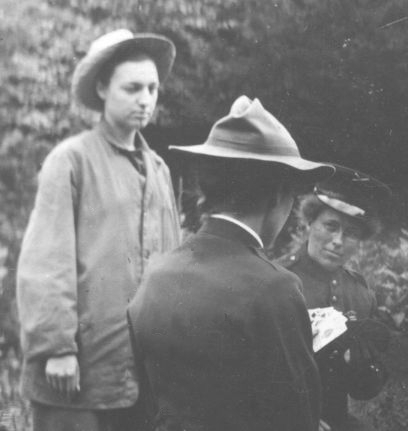 The woman with her back to us on the right is wearing a long-skirted officer's coat. The only insignia I can see are crossed cannons (designating the artillery branch) on the woman third from the left.